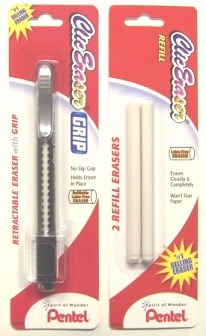 Retractable, refillable, extra-long eraser. Advance as much as you need; retract to keep eraser clean. Removes graphite lead marks cleanly and completely. Solid barrel with rubber grip for extended erasing comfort.